And so begging your indulgence I’m going to do yet another drawing in the key of Owl. Thanks for bearing with me yet again while I move around the lines on the page. And sometimes you have to sit on a chair miles away from a rainstorm and hope to see lightning strike the same place twice. With that stubborn persistence, it will. Tonight my personal case-in-point. 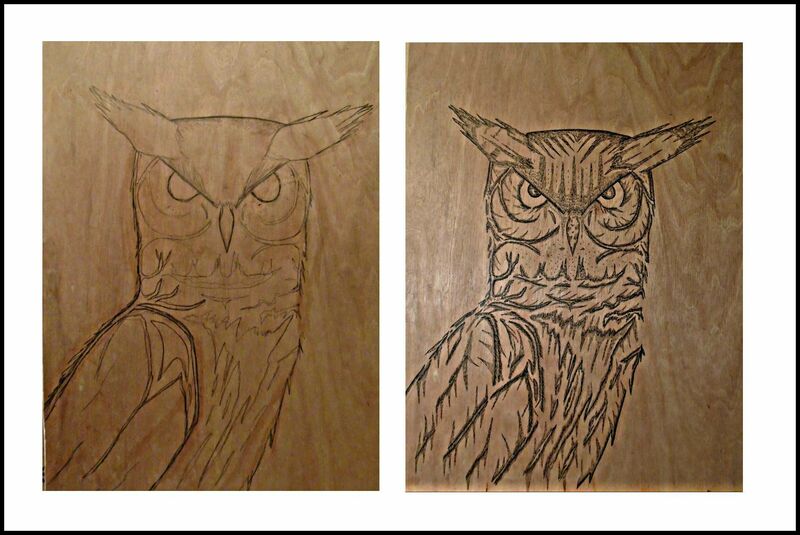 I put pen to plywood again and got another Great Horned Owl that gave me chills like the one I met in Tahoe some years back. The one is a map to the other.